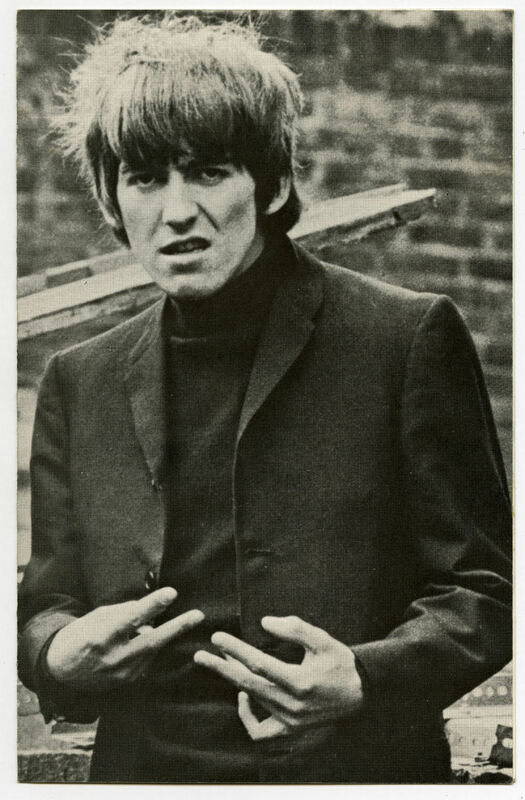 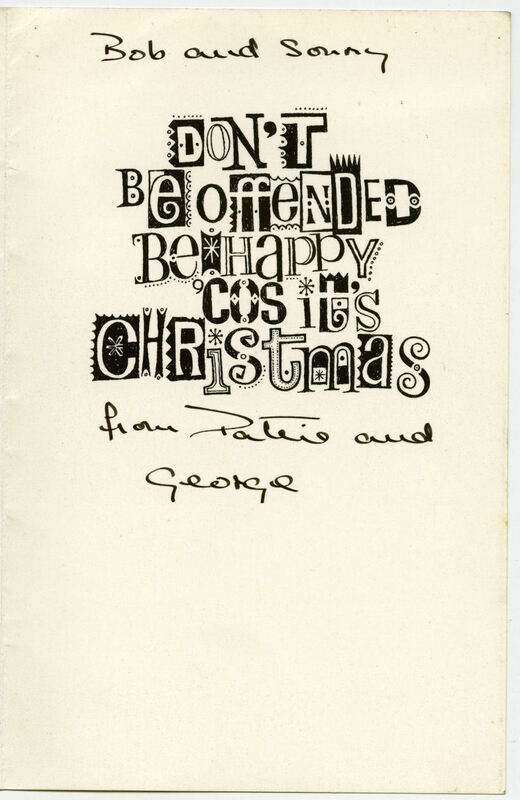 George thought this photograph of him was so funny that he decided to turn it into a Christmas card! 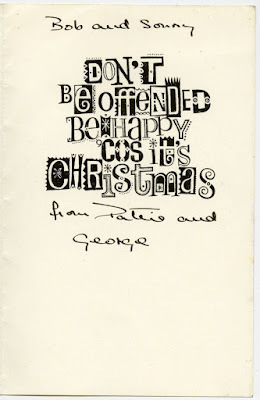 Here is the card that was sent out to Robert and Sonny Freeman from George and Pattie. It's funny cos he's flicking V-signs (offensive in England)!